Marlow takes an uncompromising stance on speed, ride and interior comforts and continually customizes each successive hull. 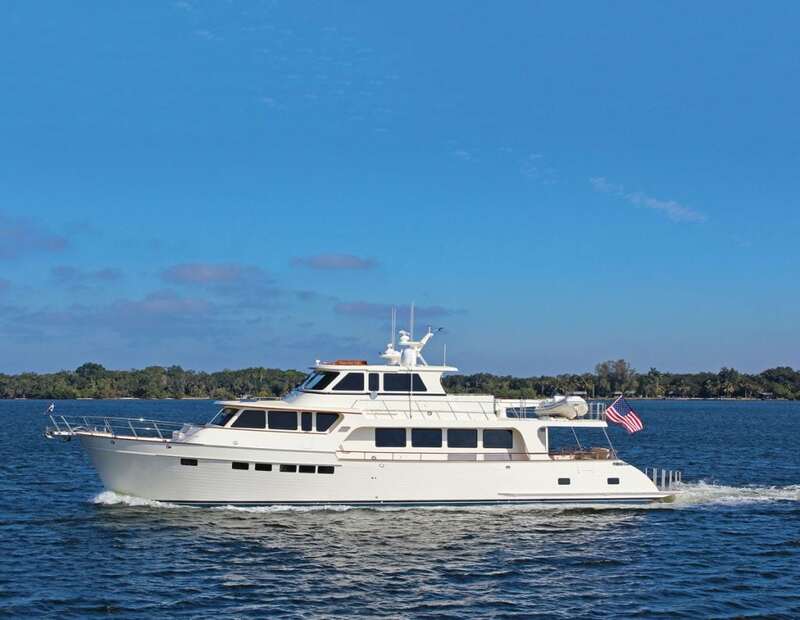 The latest Marlow 53 E model (61′ LOA, 17′ 3″ beam) coming to Fort Lauderdale offers stand-up machinery space and unusually generous accommodations with a side-by-side twin cabin, a centerline queen-berth cabin and the largest master possible. The 58E (67′ 8″ LOA, 18′ 6″ beam) at the show features exotic joinery and the new 12.9 Caterpillars that offer high 20-knot speeds with turbine-like smoothness. Finally, a new 80E (86′ 8″ LOA, 21′ 6″ beam) will be on display, showing off the popular Command Bridge option. Thanks to 1,800-hp Caterpillar C32s, the 80E tops out at 30 knots or can cruise for 3,000 miles at displacement speed.